Since you mentioned earnings and overall growth projections for the Indian economy through next 12 months, we conducted a poll at ET Now talking about what market participants feel the market can do in terms of pure returns for this year. A majority believed that the Indian market can make a fresh attempt at record highs in 2017. That is the Nifty going past 9000. Do you think that is possible? 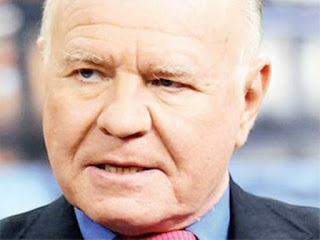 Marc Faber : I am not sure we will be on a record high right away but people pursue expansionary monetary policies and we have talked before about the Fed increasing rates. I think if the Fed increases rates, they will make sure that the rate increase does not lead to real interest rates going up substantially. If you have inflation at say 5% and you have a Fed fund rate at 2.5%, you are still negative real rates of 2.5% . In India, pro-growth monetary policy will be pursued and you also have a fiscal policy that is pro-growth. Theoretically, I do not believe much in fiscal policies but this is the view of economies. Over time, the rupee will continue to weaken and stocks will adjust on the upside.